When Philip Russell's friends gathered for his 29th birthday drinks, the mood was sombre not celebratory. It was a few days after the London bomb attacks on 7 July 2005 and Mr Russell was classed as missing. The optimistic though clung to the slim hope he might turn up for the occasion. But Mr Russell had not lived to enjoy the get-together he organised - he had died in the bomb blast that tore apart the number 30 bus in Tavistock Square. The financial manager's usual route to work was disrupted by the shutdown of the Tube network, forcing him to find another way there. At 0930 BST, he called his employer to say he would be taking the bus. Less than 20 minutes later, the bomb on his bus had gone off. Born in the picturesque Kent village of Pembury in 1976, Philip showed an early interest in music - playing saxophone in an orchestra - and travel after a school French exchange. By the sixth form, he had gone from a quiet studious boy to a popular outgoing young man, known among friends as the life and soul of a party. He went on to graduate from Kingston University with a 2:1 in business studies. Before settling into a job in finance in the City, Philip travelled on his own to South Africa, Australia and New Zealand. At the time of his death, Philip had been rising quickly through the ranks at JP Morgan Asset Management and had been set to go to New York and Toronto with the company that September. A Charlton Athletic fan, he used to attend home games with his father and he was a doting uncle to his sister's children. 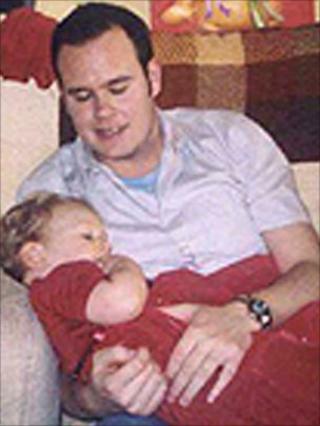 In a family statement read out at his inquest, Grahame Russell said his son was a great family man. "He once told a friend that, should he never have children of his own, he would be the world's best uncle," he said. He was also a great gatherer of friends, always being there for them in a crisis and never fazed. "Philip's life was one of contentment," Mr Russell said. "He lived it doing the deeds of a true gentleman. "His parents' pride and love knows no bounds, and the stories recounted by his friends since his death have echoed their every thought, proving that their son was indeed a good man."